As Heard on Morning Line: Book Sale at the Library this Weekend! Our Guest on Morning Line today is Toni McPherson, currently in charge of the Friends of the Library Spring Book Sale. Toni McPherson is a long-time journalist who also ended up working for the Library for a dozen years, and is now part of Friends of the Library, a volunteer organization putting on a biannual Book Sale, with the latest dates May 4th, 5 & 6th. Sunday books that are left are half-price. The sale is held in "The Dungeons," the basement of the Library and shoppers can fill free bookbags, donated by AlaskaUSA, then check out at the front desk afterwards. McPherson says the book sale proceeds go toward many programs, "Friends of the Library is a non-profit - all they do is raise money for the library." She also notes that the fundraising is largely volunteer run. She adds that it's particularly efficient, as there is only one half-time staff position connected to the project, which raised over $91,000 last year and has had a very strong start to this year's fundraising with the Beyond the Stacks Gala bringing in $61,000. McPherson says the Friends of the Library proceeds pay for the Concert on the Lawn series each Thursday during the summer and also built the stage, as well as provided for the puppets for children's programs and other Children's department. McPherson also notes that the book sale's offerings for children are priced affordably - $1 for hardbound and 50 cents for paperbacks. "Children should read 1,000 books in preparation for Kindergarten, and of course that includes parents reading the book to the children and reading same book over and over again counts toward that total goal." She says Little Dog Lost is a family favorite, as she reads it to her grandson each night for bedtime. Toni McPherson with Friends of the Library visits with Morning Line's Danny Preston about the 2018 Spring Book Sale. Today's guests on Morning Line are from an organization called Great Schools Alaska - Anchorage chapter - both Suzanne Little and Alyse Galvin share the title of Education Advocate. According to Little, the group was founded by a group of mothers who got together because they cared about the quality of education in Alaska. The group's event this weekend aims to show the connection education has to good business, as well as advocate for funding schools. 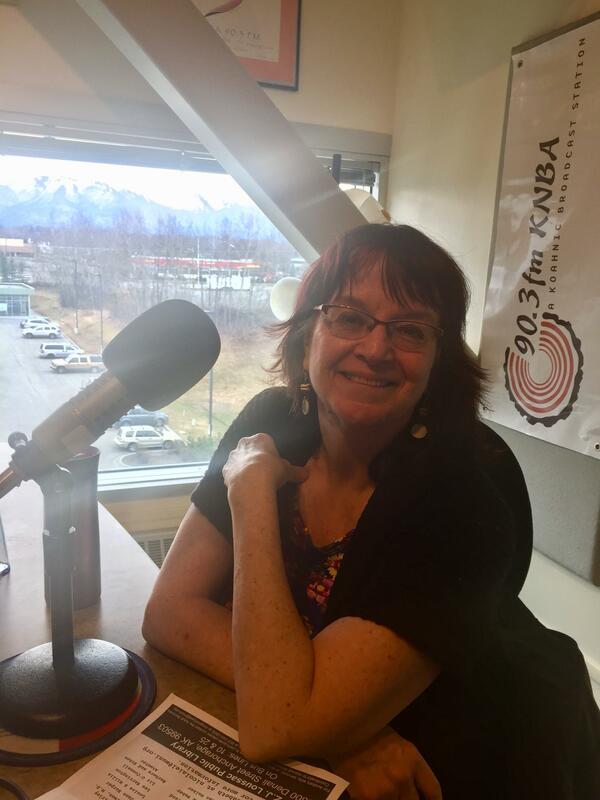 Returning to Morning Line – Our Guest Katie Ringsmuth is proprietor of Tundra Vision – Alaska History Consultants, the group putting on a series of participatory history lectures at the Mountain View Library as well as a Knik Lecture Series at Chugiak High School.